Now that I’ve got blank side view templates of the Lockheed L-1011 created, applying liveries (the fun part) can now begin. 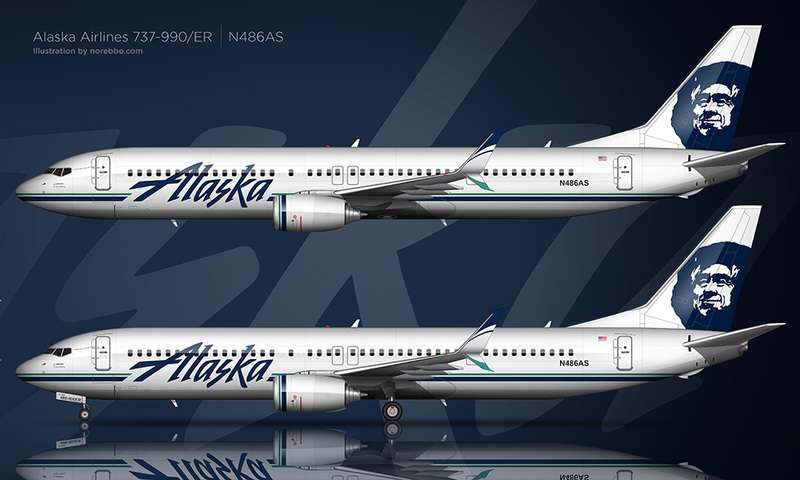 I knew right from the beginning that TWA was the first airline I was going to render, so here you go! 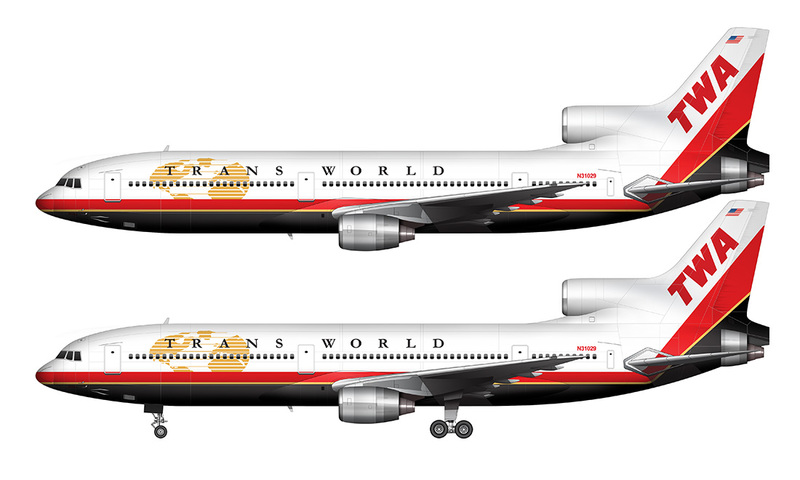 Actually, I was only planning on illustrating the 70’s dual stripe version, but halfway through creating that one I figured I might as well render each of the three Trans World Airlines liveries that this aircraft wore. It’s weird how my brain works like that – simple projects always seem to turn into something much bigger than originally planned. My Northwest Airlines 747-400 set came to be much the same way. As a child of the 80’s, my memory of the TWA L-1011 TriStar only goes back as far as the dual stripe livery (the version at the top of this post). Trans World was a pretty big airline back in those days, and I remember most TWA advertisements and movie/television appearances featuring this particular aircraft and livery combo over anything else. Perhaps my perception was just skewed, but I found it odd that they didn’t showcase their flagship 747’s more in the media back then. The livery that preceded the Red Stripe was referred to as the Star Stream colors. 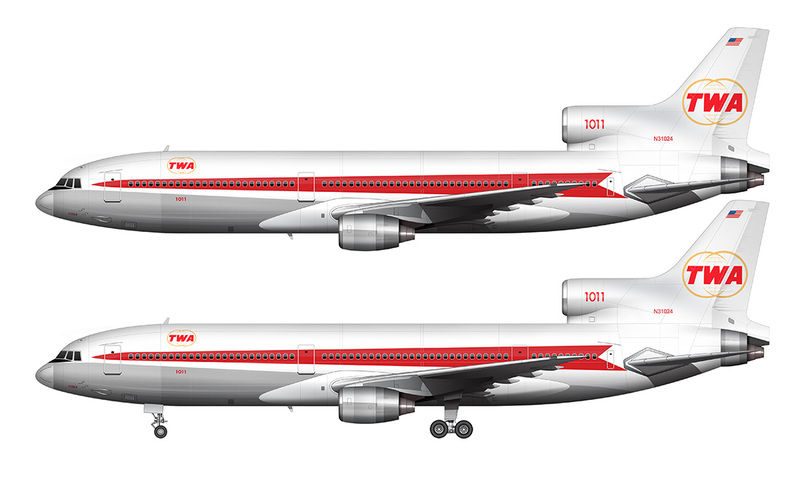 It was the color scheme that TWA launched their L-1011’s with back in 1972, and to be honest, it wasn’t their finest. 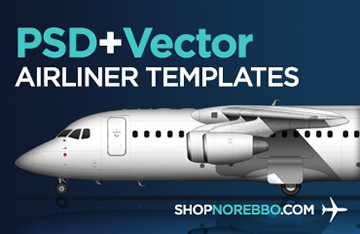 From a designer’s perspective, I find it to be quite sloppy – especially in the forward section where the red arrow, white fuselage color, exposed aluminum, and black anti-reflection paint come together right under the cockpit windows. Nothing blends together well, and it could have looked so much nicer if they would have spent the time to make sure those elements intersected cleanly instead of just…well…ending them abruptly without worrying much about their relationships to each other. It just looks sloppy, IMHO. TWA introduced a brand new livery in September 1995 that never made it to all their aircraft before being absorbed into American Airlines in April 2001. 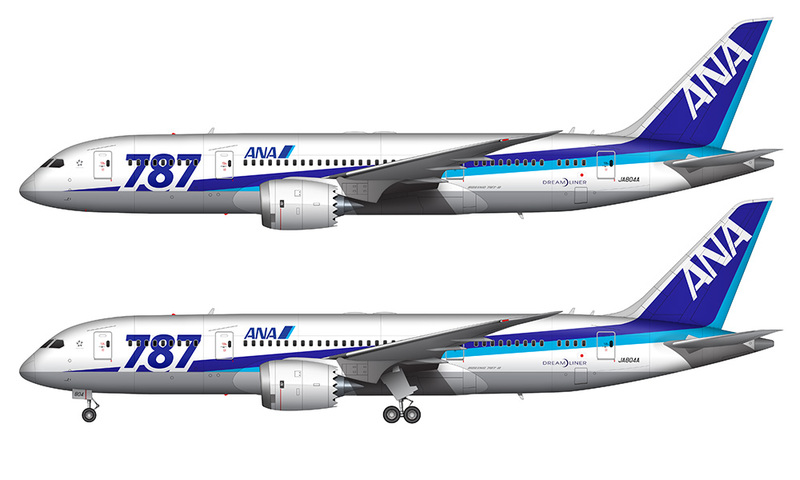 As a matter of fact, only one L-1011 ever wore these new colors. That honor went to aircraft N31029, and it’s a shame that they didn’t have enough time to convert others in the fleet before the last of this type was retired for good in 1997. Interestingly enough, seeing any L-1011 wearing these colors almost didn’t happen – the only reason why this particular aircraft got that paint job was because it was the only L-1011 in the fleet that was due for major maintenance before retirement. Stripping and repainting the airplane was a necessary part of the process, and there was no point in repainting it in the old colors before returning it to service. 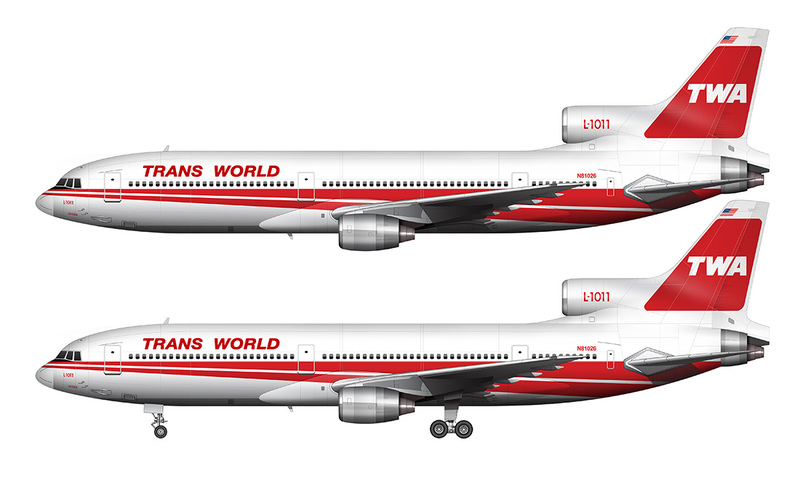 As much as I like the final TWA livery, the dual stripe version is still how I remember Trans World today. Long live racing stripes! Thank you very much! It is the best TWA livery IMHO – and I was so happy to see that American Airlines chose that one for their retro TWA scheme on the 737-800.